Summer time makes me think Birthdays. It seems like everyone I know is lucky enough to have their birthdays in the summer. I say lucky, because for those of us who grew up with non-summer birthdays and were stuck playing stuffy inside games after our guests filled the entry way with their snow boots and winter jackets; a sunny, outside in the fresh cut grass, popsicle and water balloon party was always out of reach. Thankfully I now have an adorable, soon-to-be two year old, whose birthday happens to be in the summer. Yay! Although it’s still a couple months away I am already browsing Pinterest boards for fun adorable birthday ideas. I often find that little boy birthday themes are very generic and stale or geared towards commercial characters like Paw Patrol and Daniel Tiger’s Neighborhood. Don’t get me wrong, they are fun shows both of which my son enjoys watching, but sometimes I just want something adorable for my still precious little boy who goes to bed every night with his stuffed animal bunny. With that in mind, I’ve created these birthday invitations with an adorable factor for both girls and boys. 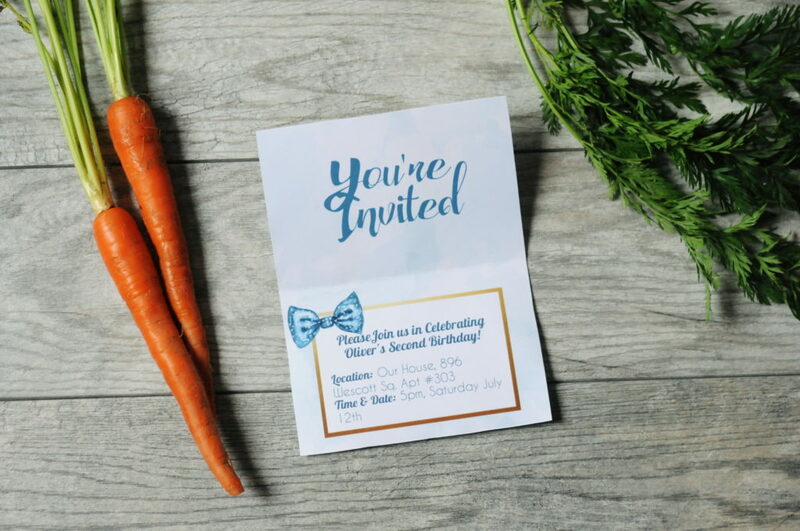 So if your little “Bunny” is having a birthday, make sure you download your own free invites below! 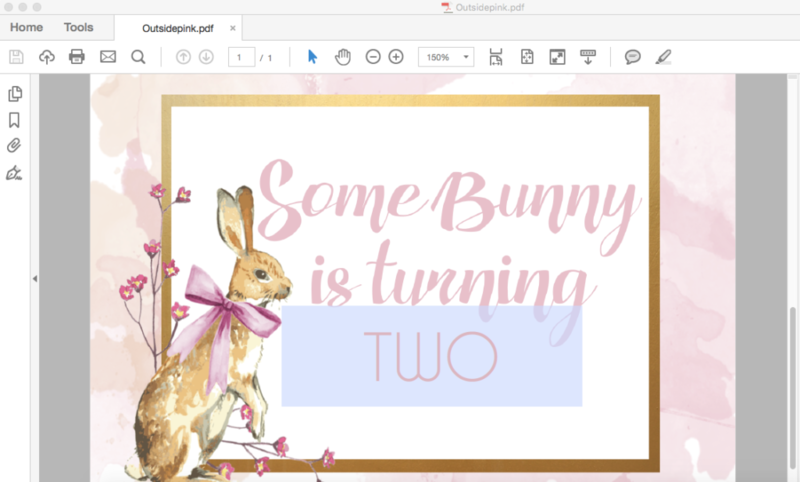 These birthday invitations are fillable PDF files which means you can fill in your own text on the PDF itself. When finished, you’ll have a professional looking invitation and no one will know you did it yourself! Please note that not all text is editable. “Some Bunny is turning” and “You’re Invited” are locked. Step 1. Download the PDF file below and open it with Adobe Reader. It will not work in any other program! If you do not have Adobe Reader download it for free here. Step 2. Replace the text with your own information. If you need to change the text size, color, or font press “command+E” for mac or “control+E” for Windows. The fonts I used are Lobster and Caviar Dreams. Both 100% free fonts! Step 4. Cut out and enjoy! Hosting large groups this summer? Here are 6 tips to help make it go smoothly!